St Kitts and Nevis has some of the most enjoyable activites tourist will find in the Caribbean Islands during their vacation. 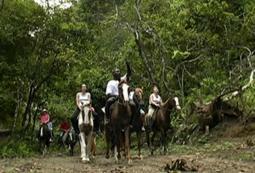 Horseback riding, diving, nature trails and reserves, beautiful scenery and most of all - total relaxation. The staff at St Kitts and Nevis Realty know the island well with generations of living here and can help you book all activities and days out so please give us a call and let us help you to have the best island vacation possible. If you have visited the islands before and know of any activity not listed or have a business on the islands offering vacation experiences, we would love to hear about them. Drop us a line at info@coldwellbankerstkittsnevis.com and we will add your comments to our never ending list of things to do on St Kitts and Nevis. At trinity Stables visitors can take one of the well behaved horses and ride along the beautiful Atlantic Coastal beaches, or alternatively take a guided horse-back tour to the High Mountain Rain Forest. The rainforest tours are taken by a knowledgeable local guide who will take you to see island birds, primeval forest trees, giant ferns and green velvet monkeys. Join this tour to go horseback riding along sloping trails, through sugarcane fields and see all the beautiful tropical vegetation that this rainforest is blessed with. On the tour visitors follow their guide over gentle terrain above the sugarcane fields to the ruins of an old sugar mill before entering the rainforest and stopping at a freshwater pool to soak your feet in the cool water. When continuing the ride through the rainforest the types of flowers that will be spotted are bamboo, wild sage, and the flamboyant (the national flower of St Kitts and Nevis). The horseback adventure will be concluded with complimentary refreshments. Nevis Equestrian Center pride themselves on providing a unique horseback riding opportunity to visitors from all over the world since 1996 and the center has been visited by many famous people over they years. The most popular ride, beach and trail takes visitors to a secluded beach, landmarks of Nevis and an old town. Pro Divers offers 32 years of experience in the form of owners Margot and Auston Macleod who are still just as enthusiastic about diving as when they first began. This family run business promises a personal service and a fun atmosphere to ensure that all visitors get the most out of their diving experience whether they are a beginner or a more experienced diver. The dive center is located on bay road in Basseterre, just a couple of minutes away from the Cruise ship dock and has two custom dive cats which are 40 and 50ft long in addition to this they also have a 33ft speedboat. Kenneth's are well equipped to cater for large and small groups and offer several different packages including dive courses. Dive St Kitts offers a wide variety of courses ranging from one day lessons to 3 week master classes to ensure that both beginners and experienced divers get the most enjoyment from their underwater experience. Dive St Kitts also runs snorkel trips and guarantee that whether you are diving or snorkeling the serene beauty and clam waters of the Caribbean will overwhelm you. 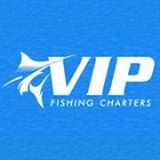 This company offers both snorkeling and fishing tours, they specialze in bottom fishing about a mile offshore where you are guaranteed to catch something. Visitors may even catch something thats good to eat such as Hine, Strawberry Grouper or Snapper, and once you have caught something you have the option to join the crew for a barbecue on the beach to cook up your catch! Whether you are looking for a family adventure enjoying a unique way to explore the islands, an active day out or want to enjoy a little romance with a loved one, sailing St Kitts on our 60ft and 65ft catamarans is an unforgettable tropical experience. You can choose from half day sails with a light lunch and snorkeling, full day sail to Nevis with lunch, a romantic sunset cruise, sail 'n' spice sunset sail with delicious cuisine from the Spice mill and more. 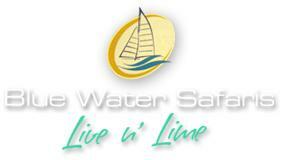 Scuba Safaris have been operating since 1985 and they continue to provide excellent knowledge and experience of the waters surrounding St Kitts and Nevis today. Visitors will have a choice of dive sites where they can swim among the marine life, explore reefs, beautiful stands of pillar coral, sea fans and tube sponges. 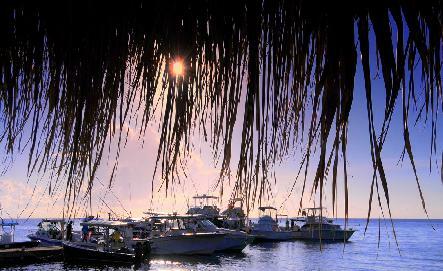 The company offers a choice of dives including tank boat dives, 2 tank boat dive and night dives. VIP Charters is a full service charter company that provides both recreational and business travelers the service they require. Visitors on the deep sea fishing charter, board the 'Reel Thing' to begin their adventure on the ocean catching fish such as Mahi Mahi, Wahoo, King Fish and Tuna. The 'Reel Thing' is equipped with state of the art equipment, air conditioning, flat screen tv and entertainment system and all charter excursions include drinks, tackle and bait. 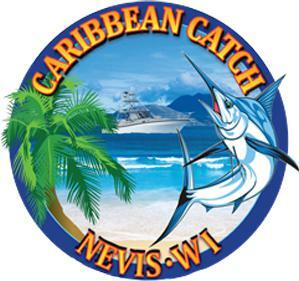 Captain Glen Guishard has over 25 years experience and provides an excellent service to all visitors, he offers several different deep sea fishing packages. Enjoy fishing for Baracuda, King fish, Binito, Mahi Mahi and marlin in the deepest areas and Snapper, Grunt, Trigger fish, and Grouper in shallow areas. For the perfect days sailing in clear blue warm waters of the Caribbean this is the place to go, the crewed yacht charter which is based on the island of Nevis is the best way to see both islands of the federation. There are several charters to choose from such as the half day or full day charter and sunset charter cruise, and Captain Miles Dean will take you to the best snorkeling spots and to beautiful secluded beaches. Join the crew on board the 'Cast Away' for a brilliant experience in the tropical waters of Nevis, relaxing fishing and sipping on a delicious cocktail. There are several different excursions to choose from and with Captain Hugh Mouton, you will be in safe hands and learn lots about the marine life in this part of the Caribbean. Whether you choose a full day charter, half day, bottom fishing, you are certain to have a great time with the helpful and friendly crew. 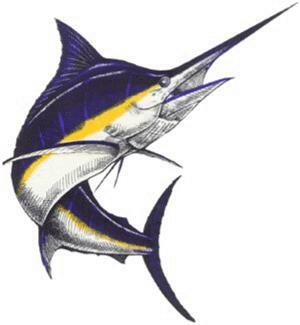 Join the record breaking sport fishing boat, Blackfin for an exciting adventure with Captain Clivin Christmas. Blackfin offers a choice of full or half day charters and our crew will be happy to share their expertise with you in persuit of Wahoo, Mahi Mahi and Tuna. You will be in good hands with Captain Clivin who is renowned througout the Caribbean as the man to beat in tournaments all along the Caribbean Island chain. Leeward Islands Charters has been sailing the waters between St Kitts and Nevis for 25 years, and the fleet of signature navy/gold catamarans have all been built locally in St Kitts. The company provide a variety of tours to choose from, and will also tailor tours to suit guests private events. Whether you want half a days sailing and snorkeling, a day trip to St Kitts/Nevis and a barbecue lunch on the beach or a sunset cruise with a bonfire in Nevis Leeward Island Charters are happy to help. This 18 hole championship golf course will provide a challenge for any golfer with 12 lakes and 83 bunkers, twisting fairways and hilly terrain. The views of the Atlantic and the Caribbean are breathtaking and just add to the experience of playing golf on this excellent course. 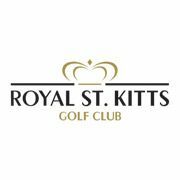 Royal St Kitts offers private lessons, group lessons and clinics and it also has the excellent Clubhouse Grille so that you can enjoy a delicious meal after your game and enjoy the spectacular views. 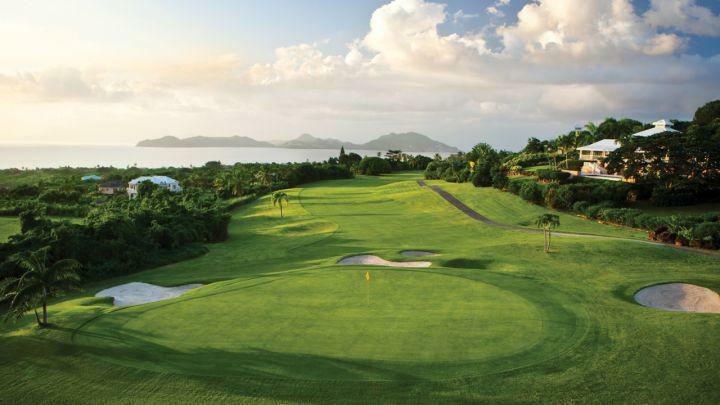 This beautifully maintained golf course was designed by Robert Trent Jones Jr and is an 18 hole course that provides breathtaking views across St Kitts. 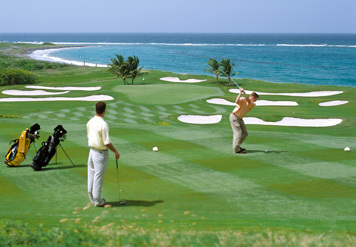 The tree lined fairways are impeccably routed around the slopes of the dormant Mount Nevis Volcano, and the course provides challenges for any level of golfer. Four Seasons provides a pro shop, professional instruction, driving range, putting green and clubs rental. This course stretches over 14 acres of beautiful landscape in Newcastle, it has tropical fruit trees and lush vegetation surrounding it and has a very laid back atmosphere in comparison to the other private courses. This 9 hole course is perfect for casual golfers and families and the spectacular views of nearby Mt. 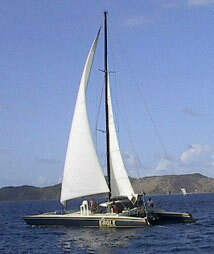 Nevis and the reefs of the Atlantic maks the course attractive to nature enthusiasts. The grounds also have a pleasant nature trail in addition to the golf course that further showcases the tropical scenery. Mr X has been an island institution since 1990 and his first business started out as Mr X Water Sports which was a great source of water sports adventures for nearly 20 years. Since then the company has expanded into Water Tours and offers excursions from the shorelines of the southeast St Kitts peninsula to the beaches of Nevis. There are a range of tours on offer such as Deep sea fishing charter, sunset cruises, private charters and romantic dinner cruise.